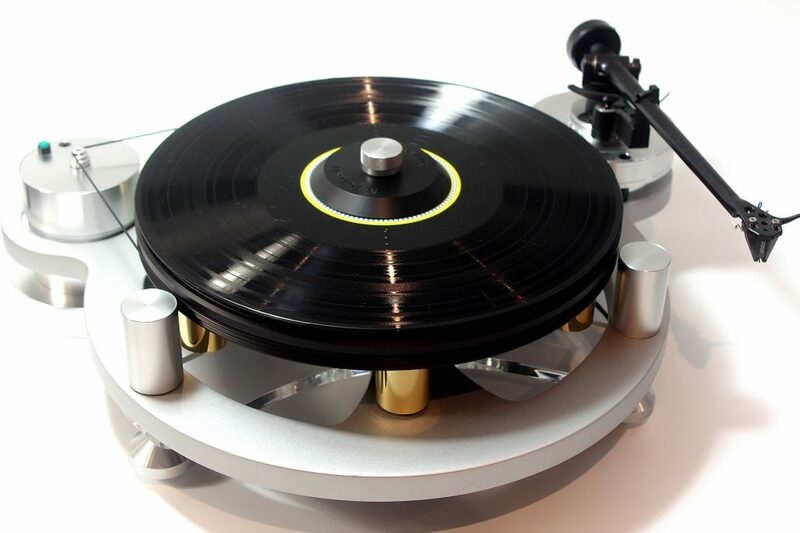 Nothing can surpass the warmth, emotion and musicality of a good vinyl set-up and it is for that reason music lovers still return to the format when they really want to connect with the artists performance. 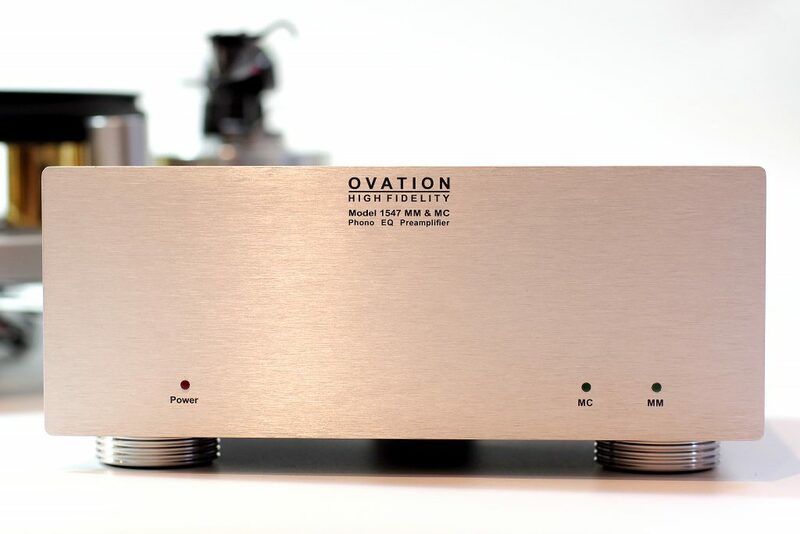 The Ovation High Fidelity Model 1547 MC/MM Phono EQ Amplifier is designed to partner with any turntable to deliver the ultimate vinyl music experience and we are confident it will be the last phono EQ amplifier you will ever need. 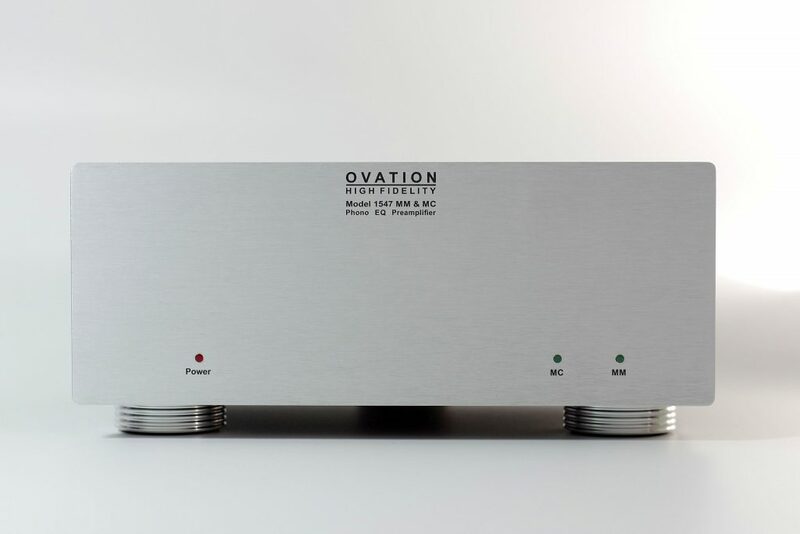 Impeccably engineered to extract every musical nuance from your precious records, it features cutting edge design techniques that result in one of the quietest, most accurate phono EQ amplifiers on the market. Tight inter-channel gain and equalisation balance coupled to a very low noise floor delivers outstanding imaging and transparency, providing you with a front row listening experience. As with all our products, it is built to last and carries a 5-year warranty. 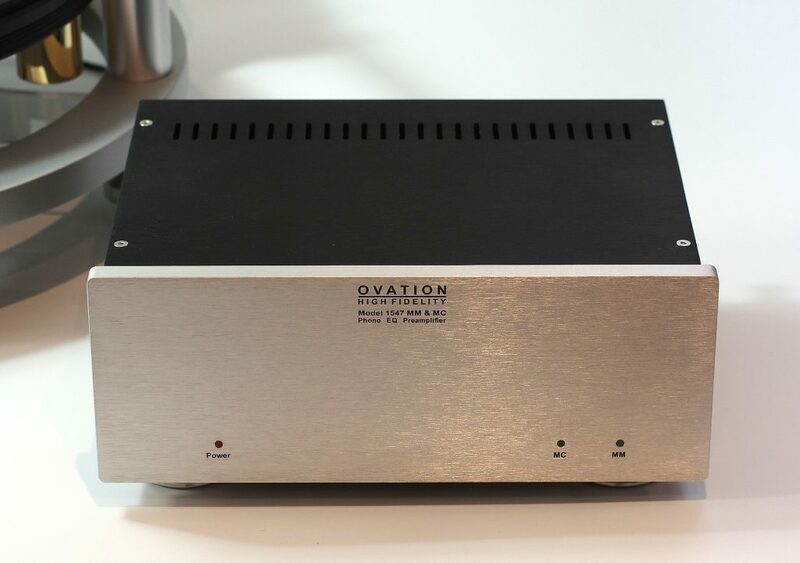 The Ovation High Fidelity Model 1547 MC/MM Phono EQ Amplifier. Engineered for Art. 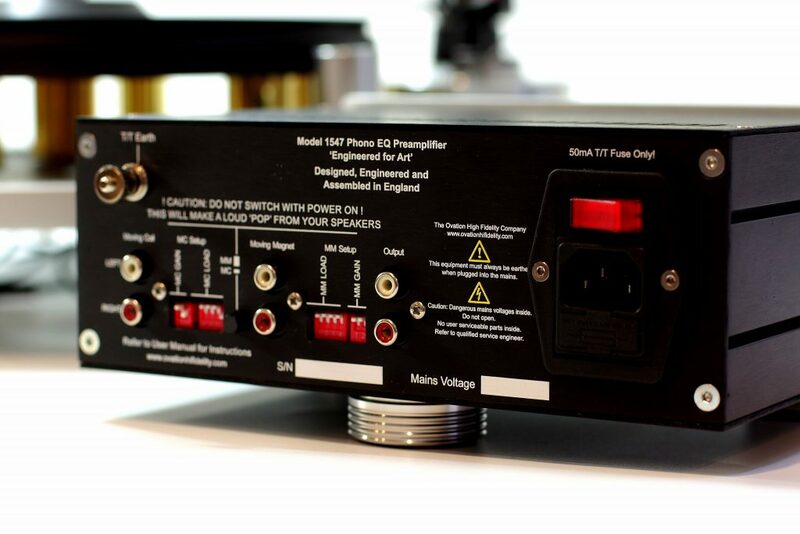 The Model 1547 Phono EQ Amplifier accepts either moving coil (MC) or the more common moving magnet (MM) inputs and boosts and equalizes the signal from your turntable to the industry standard RIAA curve, after which it can be fed into a standard line preamplifier. 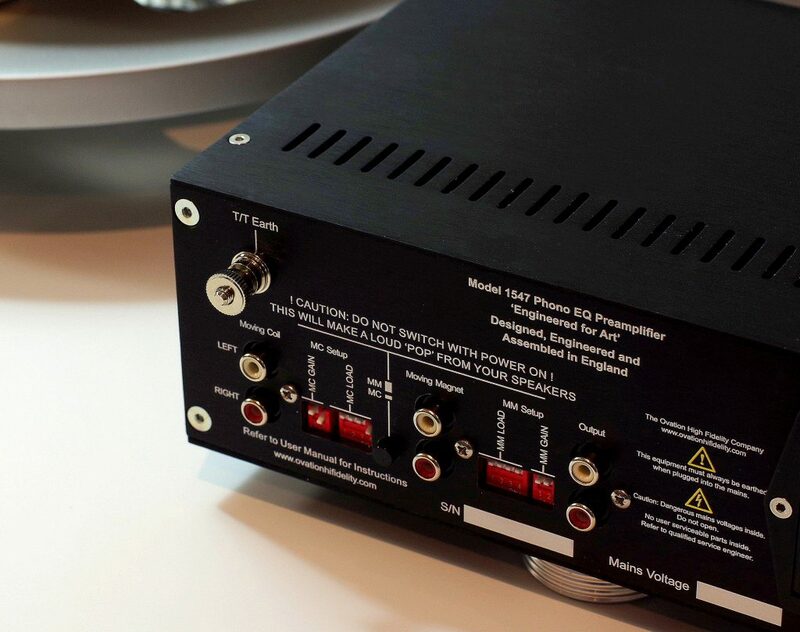 The MC front-end utilizes an ultra-low noise single ended JFET amplifier stage to deliver better than 75 dB S/N ratio (ref 500uV input), while the MM input uses a very low noise integrated amplifier for superior performance, with signal to noise ratio’s approaching 80 dB. For a nominal 350mV output, our unique all-active EQ topology delivers best in class overload capability of > 32 dB (MM ref 3 mV input) and > 40 dB (MC re 250 uV input) that, unlike split or passive EQ approaches, is maintained over the entire audio band from 20 Hz right through to > 50 kHz. 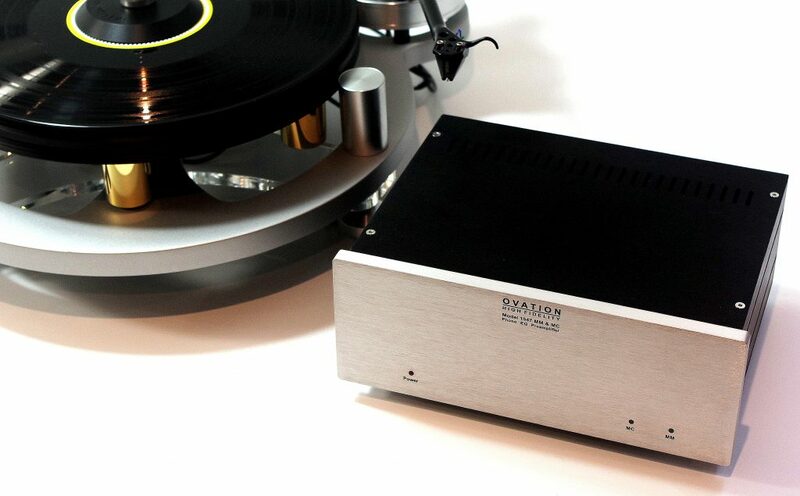 The result is a remarkably smooth, and quiet phono stage that deals gracefully with LP surface noise pops and crackles, unlike active/passive or all passive stages which compromise on overload, noise and overload recovery. Switchable loading and gain, located on the unit’s rear panel, caters for input signals from 250 uV to 1.2 mV on MC and 1.2 mV through to 8mV on MM, while a built-in rumble filter sharply attenuates any sub-sonic noise, be that from an off-centre hole, record warp, or motor rumble (rare in modern turntables, but an eventuality we cater for in any event). RIAA EQ conformance is to within +-0.2 dB (typical) over 100Hz to 20kHz frequency range and ensures faithful reproduction of your records. 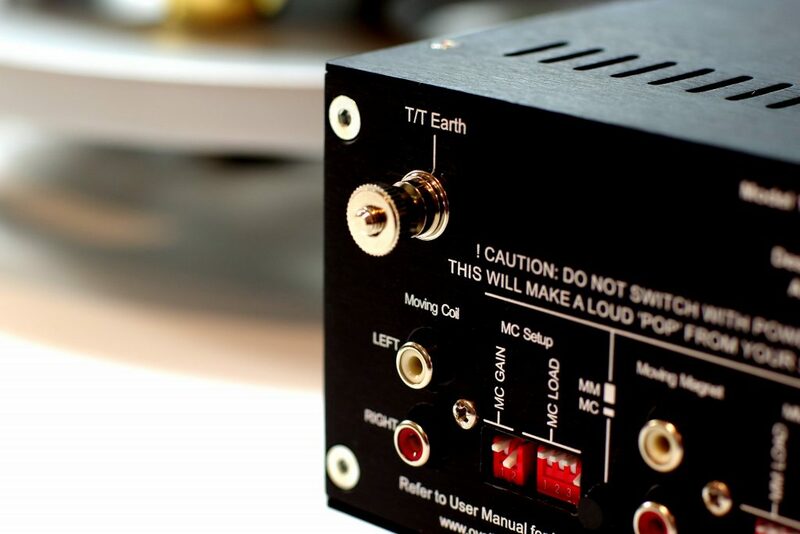 Unlike many competing products, the Model 1547 power supply is built into the housing, reducing cabling and therefore minimizing hum and noise pick-up – reference 500mV out, ‘A’ weighted hum levels approach -90 dB (MM input) and better than -80 dB (MC input) – absolutely outstanding performance figures by any measure. MM Input Cartridge Loading Options and Input Impedance 100 pF, 220 pF, 320 pF DIP switch selectable on rear panel in parallel with 47k Ohms. Alternative loading options avaiable free of charge.